During February this year, IRS released its’ most comprehensive publication that delineates the tax benefits and operational limitations of the four most prevalent non profits. The operating rules that impact these popular non profits were outlined in a small print factually intense 75 page document. The IRS text also included exhaustive information on approximately 30 other nonprofit organizations within its’ governing authority. Briefly summarized below are the four most common non profits by mission focus, IRS Tax Code and operating rules and limitations. These non profits concentrate on charitable activities, research, education, safety related and other similar missions. Public donations, gifts and IRS approved sources of revenue, such as events and earned income consistent with Mission, form the bulk of finances that support organizational goals. This category may receive charitable contributions that are deductable on the part of their donors. Their operating income is substantially free from federal income tax and they can earn passive income from investments. Their engagement in legislation is limited but engagement in candidate advocacy is strictly prohibited. Public advocacy is allowed as long as it is not related to the election of candidates for public office. 501(c) (3) with the following exceptions: donations to them are not deductible by the donors and engagement in candidate election advocacy is limited. IRS defines the “Social Welfare Organization”, as a nonprofit that operates exclusively to promote social welfare. Their primary mission must be to further the common good and general welfare of the people in the community in which they reside. Their mission is to bring about civic betterment and social improvements. The 501(c) (5) is traditionally reserved for Labor, Agricultural and Horticultural organizations. Their objectives must be for the betterment of conditions of those engaged in the pursuits of labor, agricultural/horticultural activities, improvement in the grade of their products and development of a higher degree of efficiency in their respective occupations. These non profits may engage in some political/legislative activity as long as it is not their primary mission which could lead to taxation. IRS publishes the perimeters for these groups in sections of IRS (c) operating concerns. Best advice regards understanding the limitations is to delve into the IRS specifics. As in the 501(c) (4)’s donations to a 501(c) (5) are not deductable by the donors and engagement in candidate election advocacy is limited. This group of non profits, in general, have the same limitations as the 501(c) (5)’s. However the (c) (6)’s include differently focused subset organizations. Their organizational diversity includes: trade associations or business leagues, chambers of commerce, real estate boards, boards of trade and professional football teams. All subsets of the (c) (6) have a common denominator relationship with IRS. They must meet and sustain ongoing filing interactions with IRS for the life of their existence. This continuing government relationship begins with requesting a well documented request for a federal income tax exemption which includes a properly articulated by laws. What follows, after the IRS Determination Letter approving their tax exemption, is a lifetime of disclosures about the officers and directors, annual filings, reporting unrelated business income, employment taxes and increasingly more complex annual information returns. As revenue grows and new sources of earned income from services and events I merge, so does IRS scrutiny and reporting requirements. Some of the subsets may fall into a category known as taxpaying non profits. In this subgroup there will be increased accounting and record keeping procedures. Substantial income from Trade Shows and Magazine Advertising usually create this circumstance. 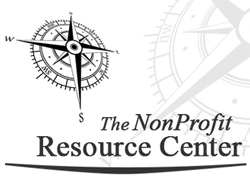 The rulings and regulations regards operating a nonprofit are complex. IRS can change them in the best interest of the nonprofit movement and when flagrant abuses arise as in tax evasion. One example is the change made in 2015 regards political activity in violation of the statutes. Best advice for officers and directors who volunteer for a nonprofit…always seek out an established and reliable source of expert advice. Information in this column is carefully research, gleaned and sourced from Rulings and Regulations published and promulgated by IRS. Dr Herzog is not an attorney, tax consultant or CPA. His professional corporation is not a law firm nor does it offer the licensed advice on taxes.